The Disability Tax Credit is a credit offered by Revenue Canada to those of who have a severe mental or physical impairment which markedly restricts the basic activities of daily living and/or need and dedicate time for Life-Sustaining Therapy (Therapy that must occur at least 3 times per week for more than 14 hours per week). There are some who do not wish to be labeled as “disabled” or have their child carry such a label. I respect that but, for myself and others, any financial relief provided by the Federal government is accepted and desired. The Disability Tax Credit is available to those who have a taxable income and who are markedly restricted in the Basic Acts of Daily Living OR require 14 or more hours per week to administer Life-Sustaining Therapy. Try our short quiz to quickly see if you might qualify. My child or I have Type 1 Diabetes. Do either of us qualify? Yes! While the qualification criteria for a child under 18 is slightly different from that of an adult, if both of you are intensively managing your diabetes care (you are using MDI or an insulin pump), you most likely will qualify. Children with type 1 diabetes are deemed to qualify once the doctor certifies that they do in fact have type 1 diabetes. This is because CRA recognizes both the time spent on care by the child and the parent(s) and feels that the total is in excess of 14 hours per week. Adults must prove that they intensively manage their diabetes for more than 14 hours per week to qualify. What is an Intensive Insulin Management System? This means that you are taking more than 1 or 2 injections of insulin per day, you are monitoring your blood glucose levels 6 or more times per day, you are monitoring your carbohydrate income to match your insulin needs, and you are keeping detailed data on trends and patterns for your diabetes care. I’m on a pump so I automatically qualify right? previous years, the amount of time spent injecting insulin was the criteria for acceptance. Insulin pumps inject 24/7. With the changes, activities must take away from routine daily living. What if I have no taxable income? People with low incomes may still find some relief but the credit is designed to assist in reducing your taxable income. IF you have a child with Type 1 diabetes, there is an added benefit to being approved for the DTC regardless of your income level. If you are receiving a Child Tax Benefit AND you have a child with Type 1 diabetes, you will be entitled to an added Disabled Child Benefit each month. I already filed my taxes for this year. Do I have to wait until next year to apply? NO. You can fill out the T2201 at any time. When you are ready to submit it, you simply request that CRA reassess your taxes for the applicable years. Still not sure if you qualify? Click here to answer a few questions that may help you to decide. You will first need to obtain a form T2201. This can be downloaded from the Canadian Revenue Agency website. This form must then be filled out by the applicant and by an attending physician. For details on what may be included in this form, please see our Tips section. The T2201 is sent in with your income tax return. You will fill out your income tax return as if you have ALREADY been approved for the credit and will fill out line 316 (or line 318 to transfer from a dependent). What do I need to tell my doctor to have the form signed? It is important that physicians understand what they are signing. If you have a child with Type 1 diabetes, make sure that your doctor understands that by signing the T2201, they are certifying ONLY that the child has a diagnosis of Type 1 Diabetes. They are NOT being asked to specify how much time the child or family spends on diabetes-related care. CRA assumes, based on previous Tax Court cases, that to look after a child (presently defined as someone under 18 years of age) with Type 1 diabetes requires more than 14 hours dedicated to Life Sustaining Therapy on the part of the parent and the child. For adults (anyone over 18 years of age), the doctor must understand that they WILL most likely be asked to fill out a supplementary form. Provide your doctor with as many details of what you do over a week as possible. They must understand how you spend your time so that they can accurately fill out any supplementary form that they may receive. Again, our tips page lists what activities are currently recognized as being part of Life-Sustaining Therapy for Type 1 Diabetes. The more information you and your doctor can provide in the original T2201, the less chance that your application will be declined. Make sure that your doctor indicates that this condition is PERMANENT. It may affect the amount of time you are given the credit for. How long will I get the DTC for? The length of time you qualify for the DTC is subject to CRA’s internal policies. They can grant the credit for one-year time frames, and you will have to reapply each year, or they can grant it for specific lengths of time (i.e. 5 years), or they may grant it permanently. The last scenario is unlikely but does seem to occur after repeated applications have been approved. When you receive your Notice of Assessment stating that you qualify for the DTC, there should be a further statement of exactly how long you have before you need to reapply. You can also go into your online CRA account to verify the date that you may need to reapply for the Disability Tax Credit. Go to the CRA site and download the form . Insert your personal information as required. Fill out Part A, page one of the Disability Tax Certificate. Part B is to be filled out by your doctor. The only issue of importance for most people is “life sustaining therapy”. In the section of “year” he/she will put the diagnosis year. Effects of impairment is the reliance on an external source of insulin to sustain life. improvement thanks to therapy (there will be no cure). The physician and the person with diabetes signs off on the form and it is submitted with your tax return or as a separate request for review if you have already sent in your latest tax return. Get a step by step guide to fill out the application here. What do I do if I am sent a second form asking about time spent? The easy answer is, of course, to simply tell them all the time it takes you to fill cartridges, adjust basals, and do all of those things that you have probably forgotten take time out of your day. If you sit for one day and every time you do something because you have diabetes, you will quickly be amazed how time adds up. Below are some examples of how your time can add up. application is accepted, please make sure to personalize your list. You do not want it to look like you simply copied and pasted something that you found online. Establish the insulin required based on time of day, caloric intake, activity level and wellness (2 minutes six times per day for 84 minutes per week), change pump tubing and insulin cartridge (7.5 minutes every other day totalling 70 minutes per week); adjusting pump programming to accommodate for temporary basal rates, exercise, changing bolus ratios or altering basal rates (10 minutes daily, 70 minutes per week), site change and rotation (10 minutes every other day, 35 minutes per week), emergency site changes due to sites falling out or failing (17.5 minutes twice per week, 35 minutes), establishing correction doses (1 minute twelve times per day, 84 minutes per week), changing pump battery (2 minutes every other week). Logging: I know not everyone logs but reality says that you must look at trends and see if you need adjustments for your exercise routine, pizza supper, or that extra shift at work. All of these things are tasks that a person with a functioning pancreas would not have to do. This is something you do think about. It would total a minimum of 30 minutes per day, equating to three and a half hours per week. Treating lows: CDA guidelines state a low is anything under 4. How many lows are normal? This is individual but if you maintain tight control it is more likely to occur. Fourteen lows per week and 5 minutes to treat equals 70 minutes per week. CRA states in their legislation that recovery time from lows does not count in the calculation of time spent on Life Sustaining Therapy (an extra 15 minutes per low). It has been argued that this is part of therapy and privately they agree but unfortunately there does not seem to be legal precedents backing us at the moment. Dealing with highs: Again, not to be taken lightly. You need to establish a correction factor. Some people are more insulin resistant at higher bg levels. If you are pumping, you want to check the tubing and the site. If you are on injections you may wish to look at the insulin and the injected area for hypertrophy. You will need to inject to correct and finally you may also need to test for ketones (three minutes every other week, or 1.5 minutes per week). The amount of time this takes would be approximately 6 minutes and as most people tend to run high more times than low. We found 21 highs per week I would say three highs per day totalling 18 minutes per day, or 2 hour 8 minutes per week. Emergency Sensor site changes: 10 minutes every other week or 5 minutes per week. You can personalize these figures to share with your diabetes team and CRA by monitoring your activities in our DTC workbook. So what are the totals? If using a CGM: add .5 hr. is usually less time spent testing blood glucose levels which would negate the total or increase it only slightly. Read more tips on how to apply for the Disability Tax Credit here. Download our Disability Tax Credit workbook. It will help you to decide if you spend enough time on Revenue Canada approved tasks related to your diabetes care to qualify for the DTC. You can fill out the workbook and share your results with your doctor. You can also use the results to more accurately complete your T2201. Click here to purchase the workbook. 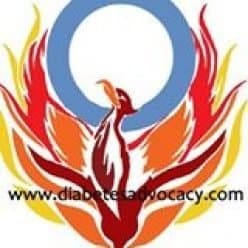 If you are still unsure as to how to proceed, Diabetes Advocacy offers assistance in filling out the T2201. only. We do not guarantee your success but will assist you with any further issues you may have. Click here to have us fill in your Disability Tax Credit application and mail it to you. Diabetes Advocacy now offers you a step by step guidebook! We take you page by page through your T2201 and provide you with tools to calculate how much time you spend on your diabetes care. Need a second opinion before you send in your application? I will review your documents and suggest any edits or reviews before your T2201 is submitted. This site does not supply clinical treatment information or medical advice. The editor of this site is NOT a medical professional. Any advice or information you may receive through this website or our mailing lists are not guaranteed and should always be discussed with your health care provider. All links are provided for your convenience and further do not signify any endorsement on our behalf.